The close-up lens is screwed on to the front of a lens like a filter. 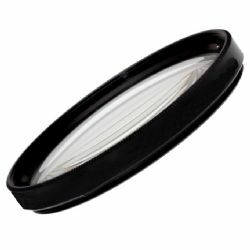 This lens has two achromatic elements to correct chromatic aberrations. They do not degrade the optical performance your cameras lens otherwise provides.